It must be wonderful being Vladimir Putin and being the most powerful person on earth. And not even have to say so yourself. The US Democratic Party is saying it for Putin along with the entirety of the Western presstitute media and the CIA and FBI also. The Russian media doesn’t have to brag about Putin’s power. Megyn Kelly, the Western presstitutes, and Western leaders are doing it for them: Putin is so powerful that he is able to place in office his choice for the President of the United States. I mean, really! What is the CIA for? What is the NSA for? What are the rest of them for? Americans would do better to close down these incompetent, but expensive, “intelligence services” and pay the money to Putin as a bribe not to select our president. 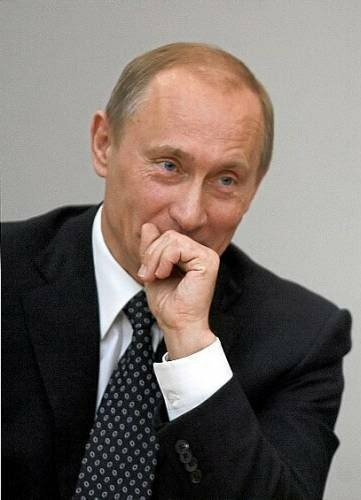 Maybe the CIA should get down on its knees and beg Putin to stop electing the President of the United States. I mean, how humiliating. I can hardly stand it. I thought we are the “world’s sole superpower, the uni-power, the exceptional, indispensable people.” It turns out that we are a nothing people, ruled by the President of Russia. It is strickly impossible to boost profits by offshoring jobs without also offshoring US consumer incomes. Therefore, the profits from offshoring are temporary. Once enough jobs have been moved offshore that aggregate demand is stymied, the domestic market stagnates and then declines. This cost shifting has now reached the level of inducing Armageddon. There is an effort to impeach Trump and put the warmonger VP Pence in the presidency. As Trump campaigned on restoring normal relations with Russia, a defeat of the attempt to reduce tensions would reinforce the recent conclusion of the Russian military high command that Washington is planning a first strike nuclear attack on Russia. The hatred and distrust of Russia that the West is currently being force-fed reflects Stockwell’s revelation, as does the orchestrated hatred and distrust of Muslims that has supported Washington’s destruction in whole or part of seven countries and trillions of dollars in new US war debt. Globalism, that is, labor arbitrage across national boundaries, and financialization, the diversion of consumers’ incomes into interest and fees to banks, have wrecked the US economy. The “opportunity society” has vanished. Children have poorer economic prospects than their parents. The offshoring of manufacturing and professional service jobs such as IT and software engineering has collapsed the growth of aggregate demand in the US. The Federal Reserve’s credit expansion was only a temporary reprive.